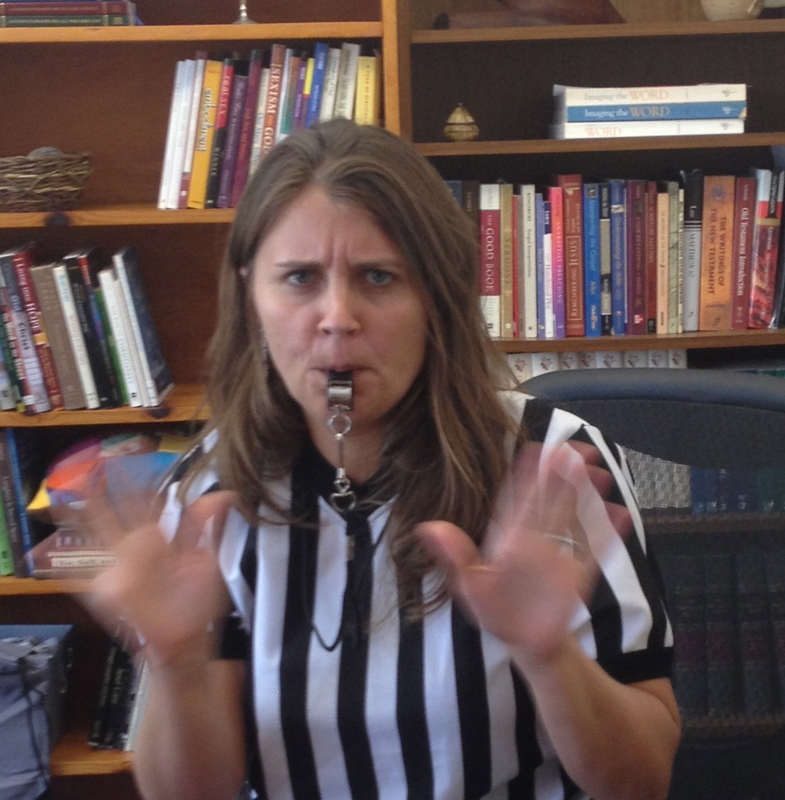 So what does it mean that I have a referee shirt and a whistle in the church office? These things were gifted to me by the Bethel College Mennonite Church youth group. It was their way of thanking me for coming to all of their sporting events through the years. They also thought I was “ok” at keeping the group in line and out of trouble. In case you’re worried, I don’t see the pastor as a referee of a church or of lives. If anything, I see myself as more of a crossing guard, someone who stands in the middle of many different intersections and hopefully directs traffic so that people stay safe and connected. I might blow the whistle at times, but only when I’m frustrated with myself, not you. I’ve already told church staff not to take it personally.